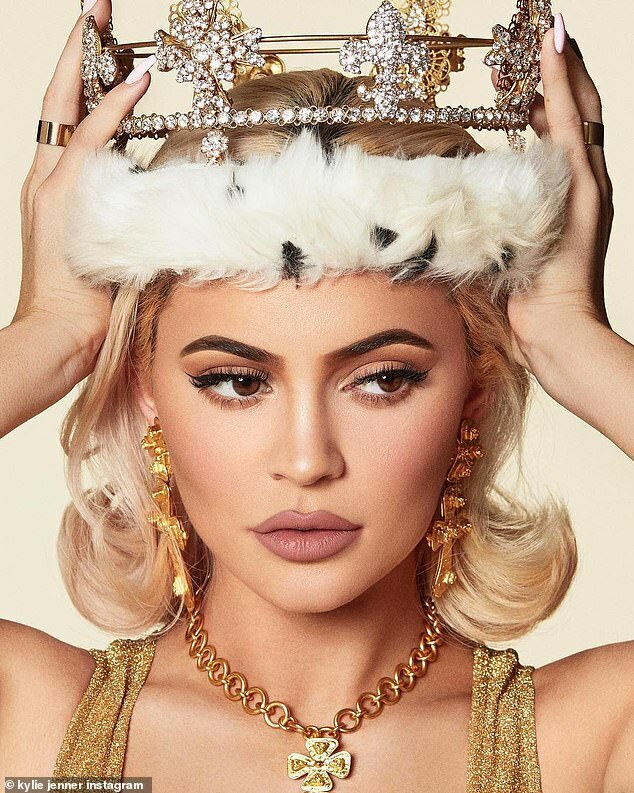 Kylie Jenner, 21, wears regal crown in sneak peek of her new calendar 2019. The 21-year-old beauty mogul looked like the queen of Calabasas in the new shots, posing with a huge sparkly crown. Kylie Jenner in her Instagram snaped her new pics. She dressed in a tight gold Naked Wardrobe dress and accessorized with dramatic gold jewelry. Her blonde hair was set with a center part and curled up ends.